. 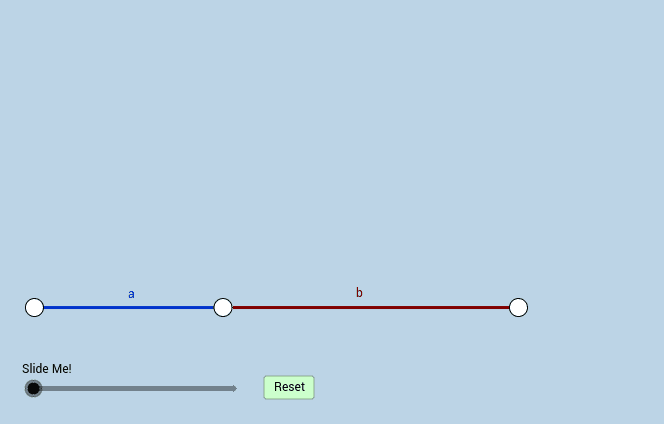 In the applet below, the purple segment that will soon appear is the GEOMETRIC MEAN of a and b. Interact with the applet for a few minutes. Be sure to change the lengths of a and b as you do. Then, answer the questions that follow. What is the geometric mean of 5 and 20? What is the geometric mean of 4 and 5? 12 is the geometric mean of 36 and what other number? Prove that the purple segment drawn in the semicircle above has a length equal to the geometric mean of a and b. Why is there zero gravity at center of earth ?